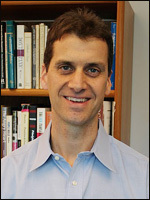 Dr. Barry received his PhD from UNC-Chapel Hill in 1992. He has been in practice since 1994 and completed Level II training in EMDR in 2000. While maintaining his practice, he has also worked at Disability Determination Services, Dorothea Dix Hospital, and Wake County Crisis and Assessment Services. He works with adults. His areas of specialization are marital/couples counseling, trauma therapy, and police psychology. Dr. Barry is also certified with the National Multiple Sclerosis Society to provide training to other mental health professionals interested in working with individuals with MS or other debilitating physical illnesses.